As a patient of Dartmouth Naturopathic we personally curate your supplement protocol. We only carry professional line products that provide research nutrients, effective doses and have been third party tested for purity & safety. Dr. Tara has started her own personal line of supplements tailored to the unique demands of her patient base here in Dartmouth. We carry product from the following companies: Cytomatrix, Thorne, Vitazan, Naturpharm, NFH, Douglas Labs, Pure Encapsulations, Bio Botanical Research, Great Lakes Gelatin, Ascenta, Integrative Therapeutics, Biotics, Designs for Health, Signature Supplements, Palma Christi, VitaAid, Prescript Assist, Pascoe, Mountain Rose Herbs, Perfect Herbs, Viriditas Herbs, York Downs Pharmacy, Smiths Pharmacy. ORDERING SUPPLEMENTS? Know how to order a pizza? Then you know how to get your supplements. Call or email in your order and we’ll have it ready pronto for you to pick up. You can also order from our online store FULLSCRIPT. Shipping rate is only $3.99 with free priority shipping for purchases over $150. We carry a full line of organic, additive free herbal teas. Dr. Tara started carrying these to avoid the pesticides that plague the tea industry, and also to avoid added flavouring. Even natural flavouring can come from unhealthy sources. 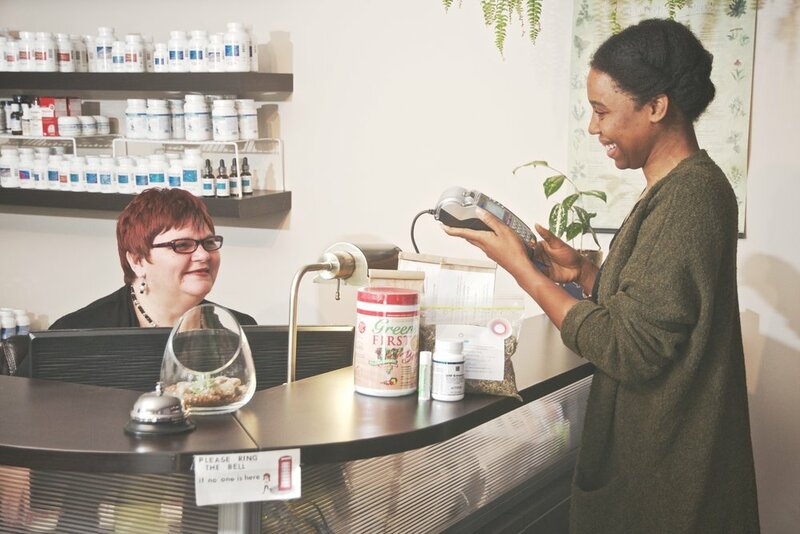 Our dispensary has over 100 different organic, fair trade and wild foraged herbal powders & loose teas. Try one of our custom blends or make your own mix suitable for boosting your smoothies or making herbal teas. Check back soon for our online order form. Genetic Testing is available through our clinic.